April 20-22, 2018, 20th and 21st Century Song Cycle Conference, Michigan State University: The Holy Sonnets of John Donne, Benjamin Britten, with Brysien Beer, baritone, and From the Diary of Sally Hemings, William Bolcom, with Joelle Lamarre, soprano. February 11, 2018, with Courtney Piercey, soprano; “Perspectives on Women: What Men Think Women Think, and What Women Actually Think, First United Methodist Church, Big Rapids, 4:00 p.m.
December 2, 2017, with Alex Wilson, trumpet. Grand Valley State University Performing Arts Center, 7:30 p.m.
February 11, 2017, with Jose Chafer Mompo, trumpet; Kreft Concert Series, Concordia University, Kreft Performing Arts Center, Ann Arbor, Michigan, 7:30 p.m.
December 10, 2016, with Voca Lyrica, Big Rapids High School, 7:00 p.m.
November 12, 2016, with Willis Dotson, trumpet; Grand Valley State University, 7:30 p.m.
October 29, 2016, String Leadership Day winners concert, Grand Valley State University, Louis Armstrong Theater, 7:00 p.m.
September 16, 2016, Grand Rapids Community College Music Faculty Recital, St. Cecilia Music Center Royce Auditorium, 7:30 p.m.
June 5, 2016, with Voca Lyrica, Big Rapids High School, 4:00 p.m.
April 8, 2016 Grand Rapids Community College, Room 200 Music Center, 7:30 p.m.
April 30, 2016, Kirkbride Hall, Traverse City, Michigan, 7:30 p.m.
March 26, 2016, with Willis Dotson, trumpet; Grand Valley State University, 2:30 p.m.
December 5 & 6, with Voca Lyrica, United Church of Big Rapids. Concerts at 7:30 p.m. and 2:00 p.m. on the 6th. November 8, 2015, with Alexander Wilson, trumpet; Grand Valley State University SVS Hall, 4:00 p.m.
October 11, 2015, Liebestraum, with members of the Grand Rapids Symphony Orchestra, 3:30 p.m.
September 18, 2015, with Emily Marvosh, contralto; Harris Building, 111 Division Ave, Grand Rapids, 6:00 p.m.
September 13, 2015, with Carrie Anne Winter, soprano; Christ Church on Breton in Grand Rapids, 3:00 p.m.
July 25, 2015, with John Hagstrom, trumpet; Grand Valley State University International Trumpet Seminar, SVS Recital Hall, 7:00 p.m.
July 23, 2015, Grand Valley State University International Trumpet Seminar Faculty Recital, SVS Recital Hall, 7:00 p.m.
July 22, 2015, with Stephen Burns, trumpet; Grand Valley State University International Trumpet Seminar, SVS Recital Hall, 7:00 p.m.
July 21, 2015, with Manu Mellearts, trumpet; Grand Valley State University International Trumpet Seminar, SVS Recital Hall, 7:00 p.m.
April 11, 2015, with Martin Malfroid, trumpet; GVSU, Cook-DeWitt Center; 4:30 p.m.
March 19, 2015, with Carrie Brannen, cello; GRCC Music Center Room 200, Grand Rapids, MI; 7:30 p.m.
March 13, 2015, Aries Trio, with Richard Stoelzel, trumpet, Megan Crawford, violin; MAJIC Concert Series, Bethlehem Lutheran Church, 250 Commerce Ave., Grand Rapids, MI 49503; 7:30 p.m.
March 11, 2015, Aries Trio, GVSU Arts at Noon, Cook-Dewitt, GVSU Campus, Allendale Michigan. 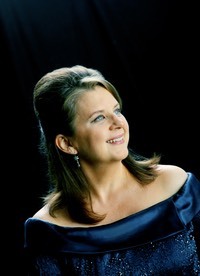 12:00 p.m.
February 15, 2015, with Libor Ondras, viola and Diane Penning, soprano; Great Lakes Chamber Orchestra Chamber Music Series, Emmanuel Episcopal Church, 1020 East Mitchell St., Petoskey MI; 4:00 p.m.
December 12, 2014, with Gwenneth Bean; MAJIC Concert Series, Bethlehem Lutheran Church, 250 Commerce Ave. Grand Rapids, MI 49503; 7:30 p.m.
October 24, 2014, Totentanz, with Kent Philharmonic Orchestra; St. Cecilia Society, Grand Rapids, MI. September 19, 2014, GRCC Music Faculty Recital, St. Cecilia Music Center, Grand Rapids, Michigan, 7:30 p.m.
June 18-30, 2014, concert tour of the United Kingdom, with Voca Lyrica. Concerts in Edinburgh (June 20, Dunfermline Abbey Church), London (June 22, St. John's Church Notting Hill), Penn (June 23, Penn Holy Trinity Church), Cardiff (June 26, Radyr Methodist Church), and Dublin (June 28, Whitefriar Street Church and June 29, St. Ann's). June 8, 2014, with Voca Lyrica, Big Rapids High School, Big Rapids, Michigan; 4 p.m.
April 5, 2014; String and Voice Recital with Libor Ondras, viola, and Diane Penning, voice; also with Bill Bokhout and Ken Bos. Featuring sonatas for piano and violin/viola by Franck and Brahms. Grand Rapids Community College Music Center, Room 200; 4:00 p.m.
March 15, 2014, David Koch and Ryan Gilbert, Trumpet Recital, Grand Valley State University. February 13, 2014, with Courtney Piercey, soprano; Big Rapids Festival of the Arts. January 17, 2014, The Golden Rules of Ensemble Playing, Grand Rapids Musicians League, Aquinas College, Grand Rapids, Michigan. December 8, 2013, with Voca Lyrica; United Church in Big Rapids, Michigan; 3:00 p.m. and 7:00 p.m.
September 13, 2013, chamber music concert and fundraiser gala at Bethlehem Lutheran Church for the MAJIC (Music and Art for Justice in the Community) concert series. Libor Ondras, viola and violin, Stacey Bosman Tanner, cello. Works by Beethoven, Rebecca Clarke, and Kenji Bunch. 6:30 p.m. Tickets $20 per person, available at majicingr.eventbrite.com. March 24, 2013, with Voca Lyrica, Big Rapids High School, Big Rapids, Michigan, 4:00 p.m.
December 9, 2012, with Voca Lyrica, United Church in Big Rapids, Michigan; 3:00 p.m. and 7:30 p.m.
July 18, 2012, Mozart Piano Quartet No. 1 in G Minor, K. 478, with Ara Sarkissian, violin, Lenny Schranze, viola, and David Carter, cello; Interlochen Summer Arts Camp Faculty Chamber Concert Series, Dendrinos Chapel, 8:00 p.m.
June 2, 2012, Laraway Lake Piano Studio Recital, Bethlehem Lutheran Church, Grand Rapids, Michigan, 4:30 p.m.
May 6, 2012, with Voca Lyrica; Big Rapids High School, 4:00 p.m.
April 12, 2012, with Cameron Miller, saxophone; Grand Valley University, Cook-DeWitt Recital Hall, 7:00 p.m.
March 30, 2012, Pianorama VII, fundraising concert featuring students and faculty of the GRCC piano department; Grand Rapids Community College Music Center, Room 200, 7:30 p.m.
May 20, 2011, with Diane Penning, soprano and Jeff Peerbolt, baritone; Cascade Country Club, Grand Rapids, Michigan, 8:00 p.m.
May 12, 2011, solo piano recital: works by Scarlatti, Haydn, Barber, Granados, and Bartok; Beacon Hill at Eastgate; Grand Rapids, Michigan 7:00 p.m.
April 7, 2011, with Diane Penning, soprano; Heritage Point, Warren, Indiana, 2:00 p.m.
March 25 & 26, 2011, with the West Michigan Symphony Orchestra, 7:30 p.m.
February 18, 2011, with Diane Penning, soprano, and Jeff Peerbolt, baritone; Beacon Hill at Eastgate, Grand Rapids, Michigan 7:30 p.m.
February 4, 2011, with the West Michigan Symphony Orchestra; Frauenthal Theater, Muskegon, MI; featuring Strauss' Le Bouregois Gentilhomme 7:30 p.m.
January 23, 2011, Trio Recital, with Eric Tanner, violin, and Stacey Bosman Tanner, cello, featuring Mendelssohn's Piano Trio in D Minor and Dvorak's "Dumky"; Grand Rapids Community College, Music Center Room 200, 2:00 p.m.